When it comes to improvement in both professionally and personally, we often talk about identifying our weaknesses and turning them into strengths. To me, this always seemed to be much easier said than done. However, as I've thought about this more and more recently, I've really begun to see and believe that such a change can take place. 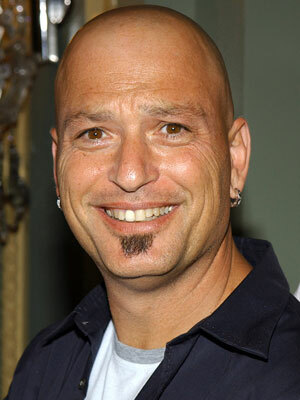 One example of turning weakness into strength is Howie Mandel. Howie is well known for having mysophobia (an irrational fear of germs). His condition is so severe that he cannot shake hands with people. At first thought, this condition would seem to be debilitating to anyone's life and career. While I'm sure there are still drawbacks for Howie, he has adapted in a way that has strengthed his brand as a celebrity. Namely, he shaved his head (it makes him feel cleaner) and began giving people fist bumps instead of the more traditional handshake. As a result of his new image, Howie has enjoyed a surge in his "star status". This is not to say that everyone should shave their heads and start giving more fist bumps. But I think that one thing we can learn from this is that we can all find ways to leverage our weaknesses in order to reinforce ourselves and the brand we portray. Wow. I didn't know that about Howie! I knew that! Nice analogy, Drew!